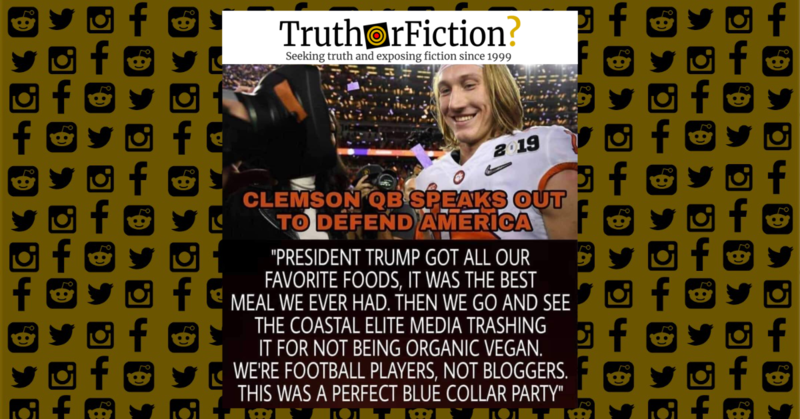 Clemson quarterback Trevor Lawrence had to deny that a meme which started getting passed around Tuesday was real. Lawrence responded with a tweet, denying the meme. The man behind the meme? None other than Nick Saban. I never said this by the way… I don’t know where it came from.